Stylish is the only term that one can use when describing this incredible Crystal Template Clock. The clock mechanicals are surrounded by a silver ring with black Roman numerals and intricate hour and minute hands. 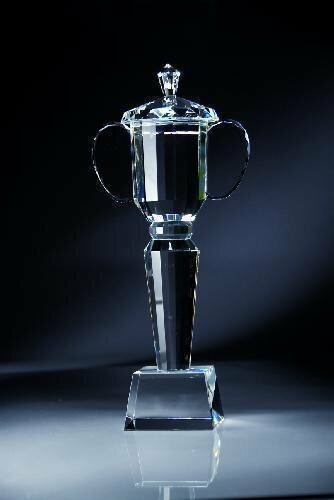 Highlights of this item are soft rounded edges and a height of 8 1/2" tall make this award stand out above the rest. 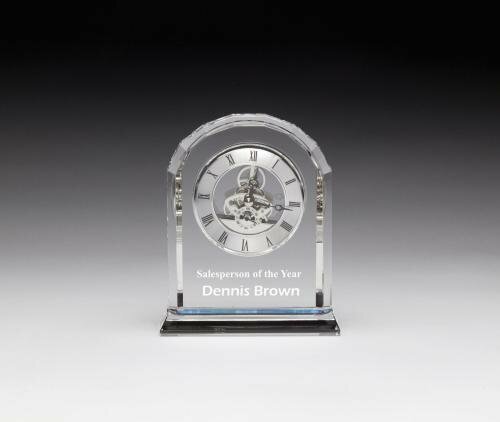 A large engraving or laserable area is located at the bottom of the award and it will accommodate any of your personalization needs. A padded blue presentation box completes this fine award that anyone would be proud to give or receive. The facets cut into this 7" clear crystal frame the star design with sparkling texture. 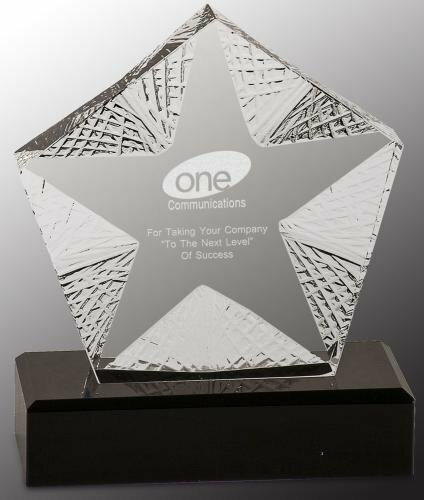 Mounted on a black crystal base, this stunning crystal can be personalized to honor the shining stars of your organization. This premier crystal is packaged in a velvet lined gift box. Modern and simple crystal tower with crystal globe attached to deep bevel cut tower adding more style than other towers. Crystal Tower Award with Globe is certainly chic tower anyone would love to have. Simple and versatile, the tapered Crystal Tower Plaque makes quite a statement. It is perfectly balanced and proportioned. It offers large engraving area that artwork can be extremely creative if desired. Simplest Crystal Tower Plaque ever! Crystal Tower Plaque is sleek and made with highest quality crystal features a globe at the top.